So you still don’t know much about the YA adaptation coming to theaters March 21, Divergent, starring Shailene Woodley? With so many people, groups and ideologies to keep track of, it’s no wonder you might be confused what it’s about. See where everyone stands at a glance with our guide. 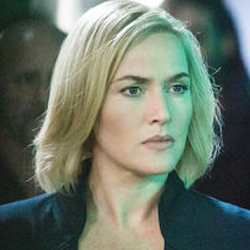 Jeanine is the leader of Erudite and Divergent’s main antagonist. She’s the one busy trying to demolish Abnegation’s reputation so that her own faction can assume control of the government. As a stickler for the rules and the “faction before blood” way of life, Jeanine has no tolerance for the Divergent. Who is she? Academy Award winner Kate Winslet. It’s finally here! Divergent is due in theaters on Friday, March 21 and while the movie certainly stands on its own, there are a few elements of this world worth learning or revisiting. 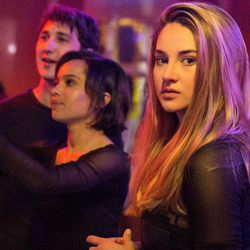 Here is everything you need to know to experience Divergent to the fullest. Well into the future, long after an unnamed disaster, Chicago is in ruins. The large majority of the city is crumbling save for certain buildings in the downtown region. The tallest of them all, The Hub, was formerly the Sears (or Willis) Tower. 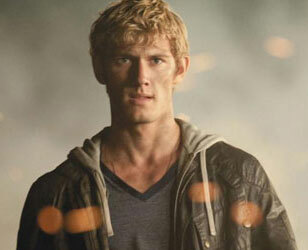 The first film in a potential young-adult book-to-film franchise is always a challenge. Not only do you have to convey a compelling narrative, but you also must establish an entire world around it, and in Divergent’s case, that’s quite the undertaking. The concept of a society being divided up into five factions is a strong starting point, but what makes the book a particularly engaging read is how that lifestyle sparks interfaction rivalries, family strife, personal problems, ethical issues and more. Director Neil Burger and the folks behind the screenplay do a standout job building this world and then filling it with meaningful details that newcomers can understand, appreciate and enjoy, but what about those who are already familiar with the ins and outs of this realm? After a slew of young adult book-to-film adaptations essentially crashed and burned, it’s finally time for “The Hunger Games” to make some room because the quality of “Divergent” justifies all of the hype and gives the film a solid shot at becoming a successful franchise-starter, too. The story takes place in a future Chicago in which society is divided up into five factions based on core values. The Abnegation place precedence on selflessness, Erudite believe intelligence is of the utmost importance, Dauntless pride themselves on bravery, Amity on peace and Candor on honesty. Beatrice Prior (Shailene Woodley) is a member of Abnegation, but that could change come the Choosing Ceremony. Even though she was born into that faction, it’ll ultimately be her decision what kind of life she wants to lead. Does she stick with her family or follow her gut? The Aptitude Test is supposed to help with that, but in Beatrice’s case, it only makes the choice more difficult because she didn’t test positive for just one faction, but rather three. Beatrice is Divergent. Even if you’ve only seen a single trailer for “Divergent,” it’s quite clear that it’s a tricky scenario to explain. Some story components get lost in the mix, but the screenwriters do manage to convey the basics in a dynamic fashion. The film opens with Beatrice running through the preliminary details via voiceover, but soon enough, they’re paired with the appropriate visuals, and, much quicker than one might expect, you’re consumed by this world and ready to start exploring the details of the situation, and then Woodley takes it from there. 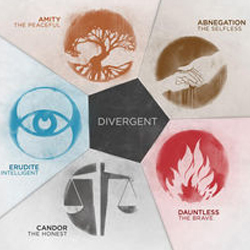 In the future, Chicago residents are divided into five factions based on their core values: “Abnegation” (values selflessness), “Dauntless” (courage), “Amity” (peacefulness), “Candor” (honesty) and “Erudite” (intelligence). Together, they keep society afloat in a crumbling, dystopian version of the familiar city. The world of Divergent may boil down to the five factions, but the narrative is loaded with striking story and location details that are vital to the experience, and if the team of filmmakers behind the production were going to bring this world to life at all, they were going to do it right. On our visit to the film’s Chicago-based sets last May, we learned more about the elements that are bound to make Divergent, coming out next March, stand out.